ENCINITAS — For a second time in three months, four large ficus trees in downtown Encinitas that are scheduled to be cut down are receiving a reprieve. The City Council on Wednesday instructed staff to hold off on cutting down the trees to allow for a review of an 11th-hour application made by a local tree-advocacy group for heritage consideration. The Encinitas Save the Trees Committee submitted an application for heritage consideration for the four trees, which are located on city property between the sidewalk and curbs. Two are on Third Street near E Street, and two are along Second Street between I and J streets. Supporters of the trees said the ficuses are a key environmental and aesthetic feature of the city’s downtown. City crews said the large trees, known for their winding branches and broad canopies, had become an issue for several property owners, who said the roots of the trees were causing damage to sidewalks and underground utilities adjacent to their properties. 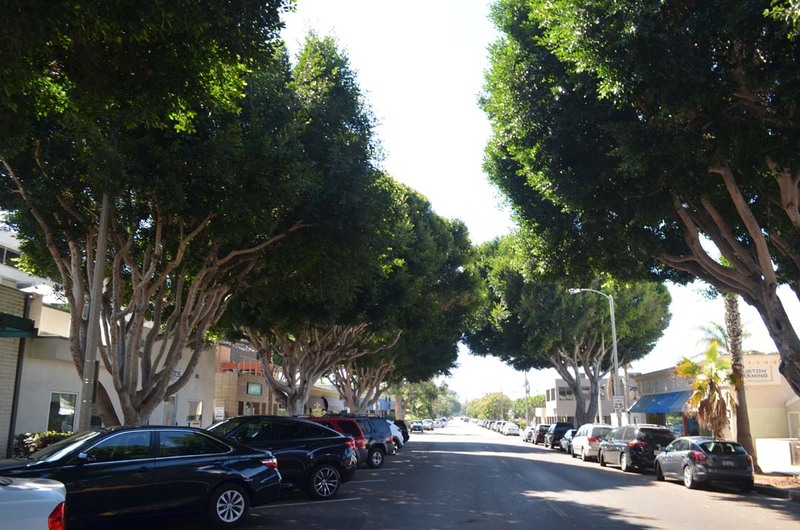 “These majestic ficus trees provide a natural canopy corridor, much like a forest path through our town,” said Sheila Cameron, a former councilwoman and mayor who serves on the trees committee. Cameron, who made her comments during the oral communications segment of the Sept. 14 City Council meeting, said that the trees also lessen pollution and greenhouse gasses and provide shelter and food for local bird species. The council then supported a request by Councilwoman Catherine Blakespear to hold off on cutting down the trees to allow the application to be processed. The Heritage Tree Designation program is part of the city’s Urban Forest Management Program, and allows for anyone to nominate a tree for the designation, which would protect it from unauthorized removal. In order for a tree to qualify, it must either be one of the oldest or largest of its species in the city, a tree of unique form or species, and must have historic significance due to an association with a historic building, site, street, person or event or it is a defining landmark or significant outstanding feature of a neighborhood. The tree must then pass muster with the city’s planning and building staff, the environmental advisory commission and, finally, the Planning Commission, to receive the designation. But the city can override the designation in the event the city deems the tree hazardous. The city was prepared to take down the trees some time in the next week after staff informed supporters at a community meeting on Sept. 6 that the trees would not be saved. The City Council voted in August to go ahead with the removal work after lawsuit threats from neighboring property owners and obtaining an arborist’s report that the four trees pose a moderate to high safety risk. On Sept. 6, City Public Works Director Glenn Pruim suggested ideas on how the city might replace the trees, as well as any other of the 50 ficus spread throughout downtown that also could be removed at some point in the future. 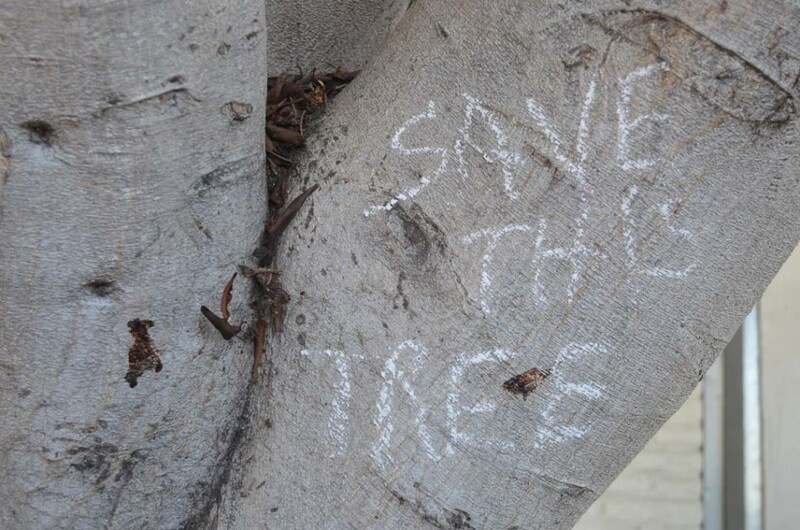 But on Wednesday, proponents of saving the trees again reiterated their belief that the trees are not beyond saving, and could be salvaged with a multi-year pruning effort. “These trees are amenable to pruning, which would mitigate their invasiveness,” Cameron said. Not present at Wednesday’s council meeting were property owners and several tree experts who have said that the trees were beyond redemption, and should not have been planted downtown in the first place. 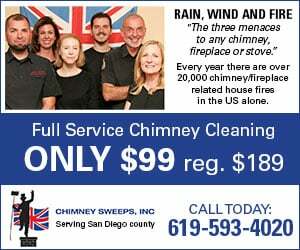 According to previous reports, the trees have caused flooding issues because their roots block the sewer system, and their foliage, which sheds annually, creates a nuisance.